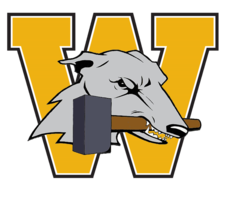 Wilmington Hounds Boys Basketball will play Keystone in the first round of the PIAA "2A" state playoffs Saturday at 4:30PM at Sharon High School. GO HOUNDS!!! The High School musical performance of "The 25th Annual Putnam County Spelling Bee" will be performed on February 28, March 1& 2 at 7:00 PM. There will also be a matinee performance on March 3rd at 2:00 PM. Tickets are available in the High School Office and at the door. Come out and support our talented high school students! 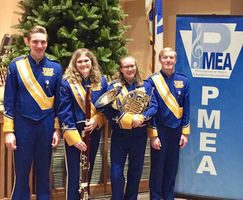 Four students represented Wilmington Area School District at the PMEA District 5 Honors Band Festival at Westminster College on December 1st. 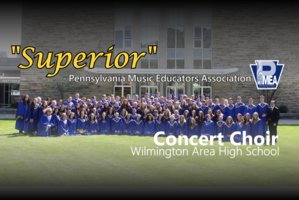 They were selected to perform with the ensemble after auditioning against 230 top musicians in Lawrence, Mercer, Beaver, and Butler counties. 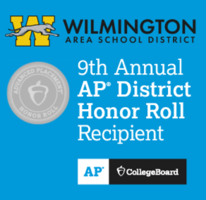 Students were Haley Hansen, Katie Magee, Ryan Onestak, and Nathan Romig. Congratulations to Erika Hoover. She recently competed in the Hurricane Junior PGA National Championship in Winter Haven, Florida. The event was held at the Orange County Country Club (par 72). She tied for 25th place out of 85 girls that qualified by winning events throughout the country this past year. Come out to see the play! Construction to Begin on Rt 208 Bridge in Wilmington Twp. Senior activities and events can be viewed in the Senior Events Calendar. WAHS Drama Dept Proudly Presents "Bye Bye Birdie"
Due to predicted weather conditions, the District will be dismissing early and operating on a half-day schedule. Greyhounds advance to state championship! The district is in need of a substitute Chemistry Teacher (PA Certificate). Anticipated start date is end of January through end of April. If you are interest in applying, please contact Mr. Michael Wright, High School Principal, no later than noon on Wednesday, November 29, 2017. If you have recently moved into the District and need to enroll your children, please do so as soon as possible. 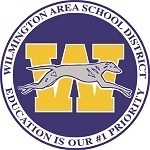 Student enrollment is handled through the District administrative office. You will need to provide two (2) forms of proof of residency, birth certificate and immunizations. If you have questions, contact Mrs. Carolyn Huff at (724) 656-8866 x 6000. 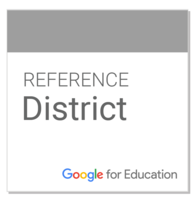 WASD is proud to announce its acceptance into the exclusive Google Reference program! Pardon our dust as we launch our new website! Welcome to our new website! Built from the ground up! Please pardon our dust as we continue to transfer content into our new site! 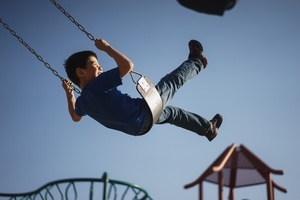 There are so many ways to stay active over your summer break! Stay involved and get some exercise by using community resources such as local parks or recreational sporting events. Being properly fueled is in many ways just as important as keeping regular physical activity. Find out how to do so here .